As expected, mobile casinos are making their way to smart watches. What we see now is just the beginning and it’s interesting to see how it will develop. At this point, there are only few casinos that allow you to gamble on your smart watch and only a handful of smartwatch slots, but these indeed the best of the best. 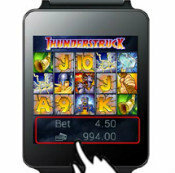 Microgaming seems to be the first to adopt to the wearable technology revolution and launched a smart watch version for 2 of its most popular slots: the Dark Knight Rises and Thunderstuck slots. Currently, there is pretty much only 1 smart watch casino that offers you to play both games and that is Royal Vegas casino. 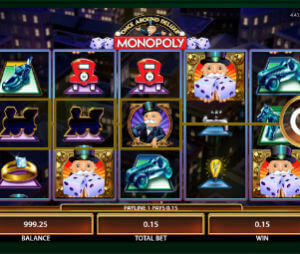 Royal Vegas was one of the first casino to adopt the mobile revolution almost a decade ago. Therefore it’s not a surprise that it’s leading the way for smart watch casinos as well. Currently you can play those slots for real money on Asus ZenWatch, LG G Watch and LG G Watch R, Moto 360, Samsung Gear Live, Sony Smart Watch 3. Hopefully that soon they will be available on Apple Watch as well.